At a boarding school full of spies-in-training, nothing ever stays quiet for long. With the trials of her first semester behind her, sixteen-year-old Nadia Riley returns to Desert Mountain Academy--an elite boarding school secretly housing a CIA training facility--to complete her junior year. After uncovering a double agent and neutralizing a threat to national security, keeping up with her coursework and navigating an uncertain romance seems like more than enough drama. But Nadia's first survival course takes a terrifying turn when she realizes she's being hunted by a familiar foe. The traitor she exposed is after her--because he needs her help, to protect someone he loves. But can she really trust a guy who was once tasked to kill her? In this heart-pounding sequel to Desert Dark, the stakes get ever higher as Nadia uncovers a far-reaching conspiracy with roots closer to home than she ever could have imagined. 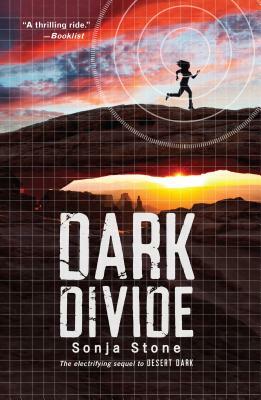 Told through the alternate perspectives of a diverse cast of characters, Dark Divide is a fast-paced thriller perfect for fans of Marie Lu's Legend series or James Dashner's Maze Runner trilogy. SONJA STONE collected intel on psychology and creative writing at Washington College, trained at Le Cordon Bleu for a cover job as head pastry chef, and completed a solo course at the same survival school where Tom Hanks prepared for Cast Away. This is her second novel.